Fortuna Dusseldorf vs Borussia Dortmund predictions for this German Bundesliga fixture. 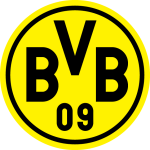 League leaders Dortmund aim to make it seven wins in a row when they travel to the Merkus Spielarena to face Dusseldorf on Tuesday. Read on for our free betting tips and match preview. 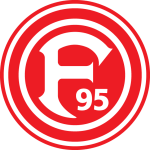 Fortuna Dusseldorf bounced back from consecutive defeats with a 2-0 win at home to Freiburg last weekend. Center back Kaan Ayham was the star of the show as he finished off two deliveries from set pieces in the second half, as well as doing his fair share of defensive work, to secure the East Germans the win. Dusseldorf moved out of the automatic relegation spots with those three points but now have another difficult fixture to work around. Friedhelm Funkel’s men were able to cause an upset in Bavaria when they drew 3-3 draw away to Bayern Munich a few weeks back, but whether they will be the first bump in Dortmund’s 18/19 journey is another question. Lucien Favre has created a Dortmund side we haven’t seen for years. Der BVB‘s thrilling 3-2 comeback against Bayern Munich in Der Klassiker in November was the final piece of the puzzle needed to prove themselves as true title contenders. Now, Dortmund are stood on 39 points, one of the highest totals the Bundesliga has ever seen and still nine points clear of Bayern. Spanish forward Paco Alcacer has been one of Dortmund’s many attacking players to find themselves at the peak of their game – incredibly, he’s scored 11 in just 440 minutes of Bundesliga football (a top-flight record) – while captain Marco Reus has been as reliable a leader in the Dortmund attack as ever. Dortmund’s form is unprecedented at the club – unbeaten after 15 games of a Bundesliga campaign for the first time (W12 D3) – and that makes it very difficult to look past the visitors for another win here. Dortmund are one of the most dangerous sides in Europe at the moment and when you look at their attacking talent, you shouldn’t expect anything less. Marco Reus, Mario Gotze, Jadon Sancho and Christian Pulisic have all been regular contributors in the 18/19 season so far, whether through goals or assists, and they’ve been as good on the road as they have been at home (or thereabouts). Dortmund head into with wins in each of their last five Bundesliga away matches, while Dusseldorf have lost five of their last eight at the Merkur Spielarena. However, the value in backing Dortmund in this match looks to be in the ‘win to nil’ market – i.e. without Dusseldorf scoring. Dortmund hold the second-best defensive record in the German top flight (15 goals conceded) and have kept a clean sheet in three of their last five competitive outings on the road – they’ve kept a clean sheet in 43% of their league away days overall too. Dusseldorf, meanwhile, have failed to score in three of their last five home outings – not an ideal combination for them. And with the hosts holding the third-worst defensive record in the Bundesliga too – 32 goals conceded, an average of over two goals per game – we expect Dortmund to come out comfortably ahead in this mid-week meeting. Our prediction: 2-0 Dortmund. Dortmund are guaranteed top spot at Christmas with just two matches to go before the winter break. Dortmund are unbeaten after 15 games of a Bundesliga campaign for the first time (W12 D3). Dortmund have won each of their last five Bundesliga away matches. Dortmund have kept a clean sheet in 43% of their away matches this season. Dusseldorf have failed to score in 38% of their home matches. Dortmund’s Paco Alcacer is the Bundesliga’s top scorer with 11 goals.